I was wondering, does anyone here have any experience with resume editing services? I was asked by Stanford to have my resume in a specific template with a strict guideline. Since I'm not a native English speaker, I find it a little hard to change the wording on my own. Does anyone here have any expereince with resume editing companies? Were they good? I'd love to hear your thoughts and experiences. Professional resume writing service help you to secure new employment. Screening resumes is the process of sorting resumes to disqualify candidates using successively more detailed examinations of the resumes.To attract an interviewer your resume should be best among all other resumes. I had problems with my cv, was not sure in some points and i use top rated essay writing websites to check mine. They have made some corrections and it was okay. I can offer you just service like resumeeditingservice dot com. It can review your resume, probably will be helpful. When I had a need of resume editing, I chose Resume Writing Lab company and I must say their service is great! I received a stellar resume which helped me a lot in my career. That's why I recommend it to you and I hope that your resume will be amazing! It's hard to edit the text yourself when English is not your native language, so better let professionals to do their job. Good luck! Resume is important for those who are going to find a job. Actually I just finish my resume editing and job hunting. I think effective and attractive are two important elements for a good resume. While it's also necessary for you to reflect the truest of you in a resume. First of you, make sure that your resume contains the following basic parts: objective, education, work experiences, professional skills. You'd better provide your recent photo and contact information. Accumulating experience by referring to others' resume will also help a lot. Templates in http://www.resumebeta.com/may give you inspiration. there are plenty of online editing services. The only thing I would recommend you is to check the reviews. I've personally tried dozens of such services. And, you know Supreme essay, has pretty good ones. But it's up to you to decide. 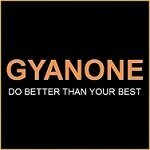 You can slso check out GyanOne Resume Editing Service. This service includes help not only on ways to highlight your experience and achievements in the most impactful way, but also customizes your resume to match with your target job profile, polishing the language and content on the way. This comprehensive service is provided by top corporates with more than 10 years of exprience, who have been a part of the recruiting process of top companies from various domains. They offer lots of different services, which includes a resume, cv, cover letter, design, thank you and follow up letters, military, federal, and career change resumes. Also, they can manage your LinkedIn profile a look like professional. This overall service offers the full package at the lowest prices. I used their services several times, and always was satisfied. They have professional writers and designers on their team. I think it's important to make the distinction between what you need from an MBA resume and what you need from a professional resume. An MBA admissions resume should use universal language that's totally acceptable to a wide audience. Whereas often a professional resume needs to contain buzzwords and jargon to demonstrate credibility. I would recommend My Essay Review. It worked perfect for me, you can contact them directly through their website. Good luck! In good resume writing companies, I personally used Skillroads, they have besides thew writers special consultants that help to write resume in a proper way and according to your needs, applying for the position and even to specific "country requirements". I'm not even saying that there is a huge difference between a CV and a resume and between a civil resume and a federal one, and all these things you need to now to make your resume outstanding. So using such services really is really helping! Yes, A good resume helps you to get to the interview and rest your skill matters. So have already get lots of help. There are so many online service for that. Just Google it.